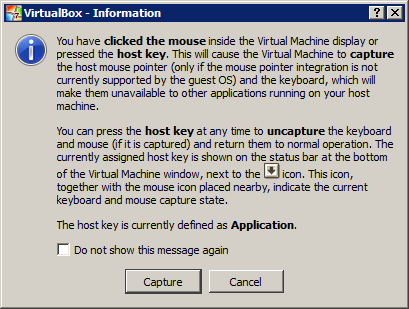 When running Oracle VM VirtualBox it happens the mouse disappear. To fix this Select Disable Mouse Integration from VirtualBox’s Machine menu. Next, click within the guest OS to capture the mouse.